Imagine convenient living close to the heart of downtown Greenville! 35 Richland Creek Drive is located at Richland Creek At North Main subdivision, one of the few gated communities close to downtown Greenville, just a hop, skip, and jump away from Greenville’s best restaurants, performing arts, entertainment, sports, museums and parks. Inviting front porch and two-story foyer. Spacious 4 beds and 2.5 baths 2+ story home. Hand-scraped hardwood flooring that stretch throughout the first floor. Charming kitchen has just been remodeled. Beautiful formal dining room with crown molding and trey ceiling. Cozy living room with gas log fireplace. Newly refinishede double deck overlooking the Preserve. Master bedroom located on the second level with separate garden tub and shower in the master bath, double sink vanity, and a walk-in closet. Three ample sized bedrooms on the second level. 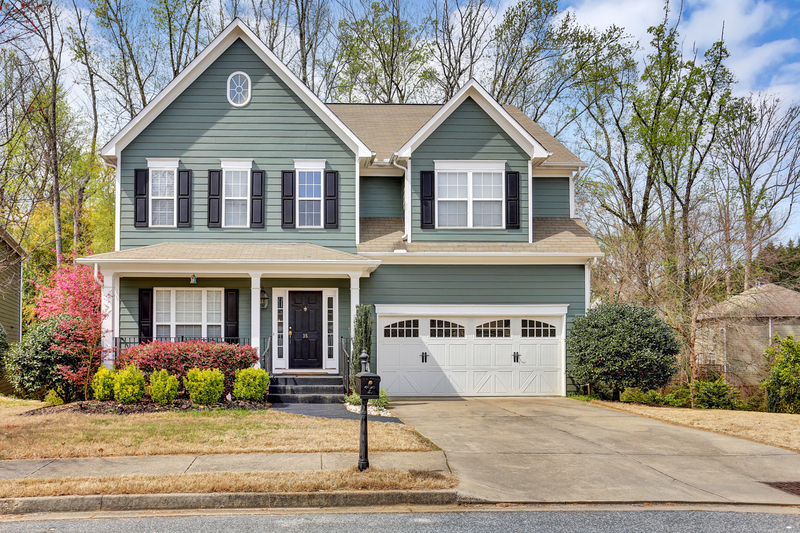 Set on a great north main community just 5 minutess from downtown Greenvillw near I-385, this well maintained home is a great buy for buyers looking for convenience, space, and comfortable life style. Located minutes from restaurants, shopping, major highway, and other facilities , this home for sale in Richland Creek at North offers a lifestyle change and a comfortable abode to call home. This home is a real showstopper with elegant home layout, sitting on 0.15 acre lot that backs up to the beautiful Asian Moso Bamboo Preserve; you’ll easily make yourself feel right at home! Inside, there is a bounty of space to utilize. From the cozy living room through the open kitchen to the double deck overlooking the peaceful preserve. There is great attention to detail throughout with many rooms.